Use our free beer label maker to turn a beer label template into custom beer labels with your own text and/or photos. You can personalize each label so you can even make a different label for each guest or for each DIY gift. Choose the beer label template that you want to use. There are 6 options. Some have text only and some include an option to add a photo. 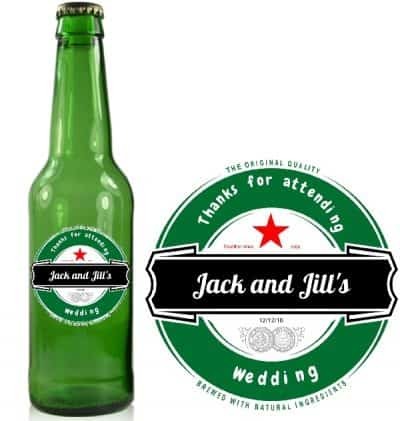 Click on customize to open the beer bottle label maker. Type in the text that you want to appear and upload a photo (if you chose a template with a photo). 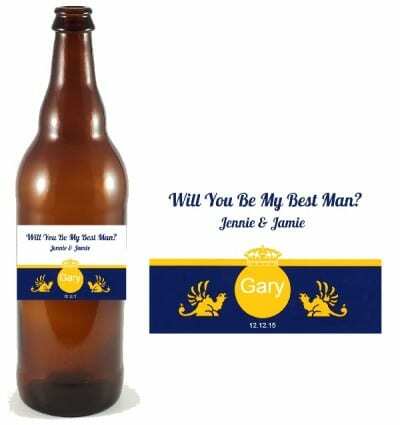 Print the personalized beer bottle labels. 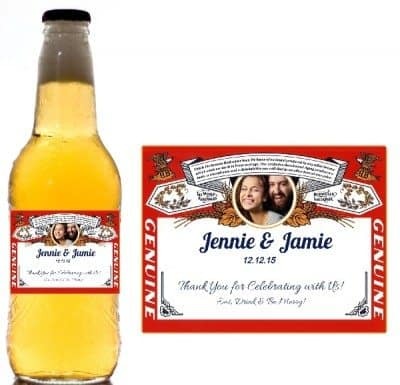 You can print on regular printer paper and apply with paper glue but the labels will not last too long if the beer is very cold as they will get wet. You can buy waterproof label paper which will enable your labels to last longer without looking homemade. Soak the beer bottles in water to remove the existing label. Wash the bottle with warm soapy water to remove the glue residue. Wipe the bottle so it is totally dry. Use a paintbrush to evenly apply Mod Podge or similar glue if you didn’t use sticker paper. 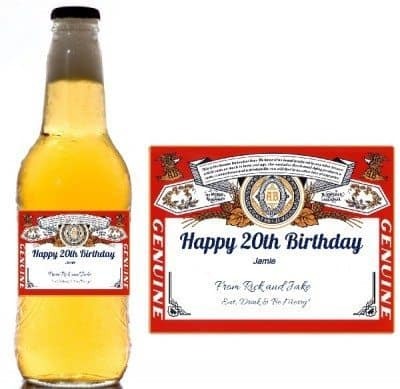 What can the printable beer labels be used for?